The simpler things in life. Sometimes all you need are a small number of pieces to create something wonderful. 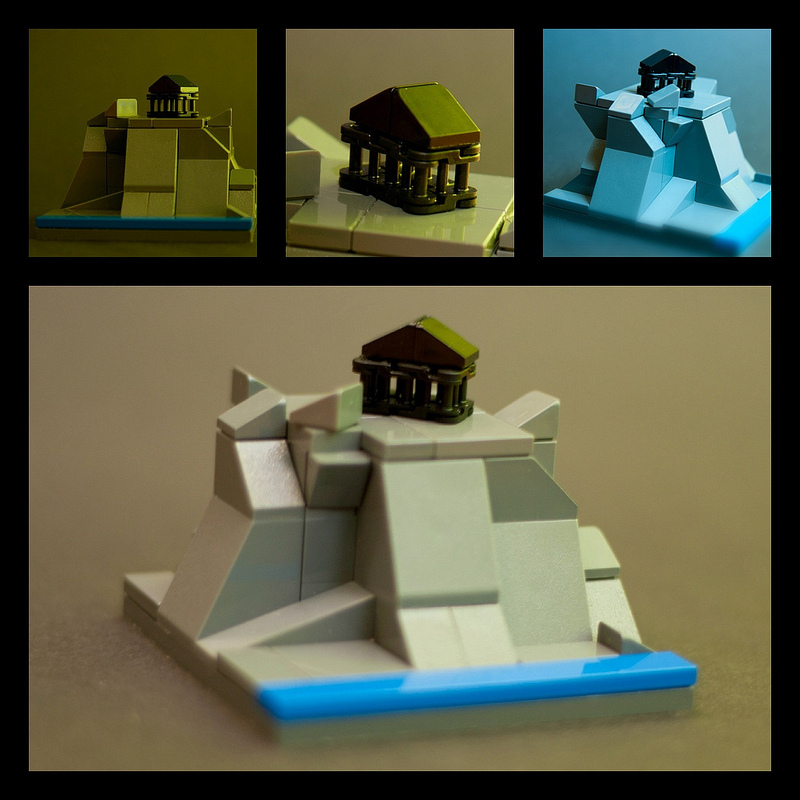 That is exactly what Brickshelf user Jetboy (badjoy) did with this Black Temple. The use of the technic tread links to form the columns of the Greek style temple is ingenious! You can also find more on his Flickr account. Big thanks to Titolian for pointing this out to me. ^Haha, thanks for linking to that. I tried doing some searchs before I posted this to see if you were on flickr as well, but didn’t come up with anything. And no worries at all, very well deserved!